This authoritative and cutting edge companion brings together a team of leading scholars to document the rich diversity and unique viewpoints that have formed the religious history of the United States. Philip Goff is Director of the Center for the Study of Religion and American Culture and Professor of Religious Studies and American Studies at Indiana University-Purdue University Indianapolis. He is the author or editor of numerous books and articles, including co-editor, with Paul Harvey, of Themes in Religion and American Culture (2004) and The Columbia Documentary History of Religion in America Since 1945 (2005). For ten years he has been Senior Co-editor of Religion and American Culture: A Journal of Interpretation. Dedicated to public teaching, he has also been a scriptwriter and an interviewee on documentaries related to religion in American life for PBS, BBC, and HBO. 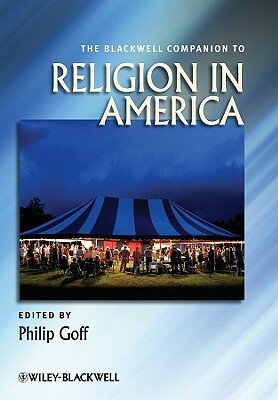 Goff is a leading interpreter of religion's role in contemporary American life, and has been named in Who's Who Among Teachers, Who's Who in America, and Who's Who in the World.